Fara/Phara is a steamed rice flour dumplings which is a favourite breakfast food of peoples of Chattisgarh. This region is known for their rice production on large scale, hence rice is eaten widely in the state. Called either as Muthia or Fara, this dish is a beautiful steamed dish to relish with a spicy chutney.Rice flour once kneaded with hot water and shaped as oblong shaped dumplings which is cooked with tempering makes this fantastic healthy breakfast dumplings. 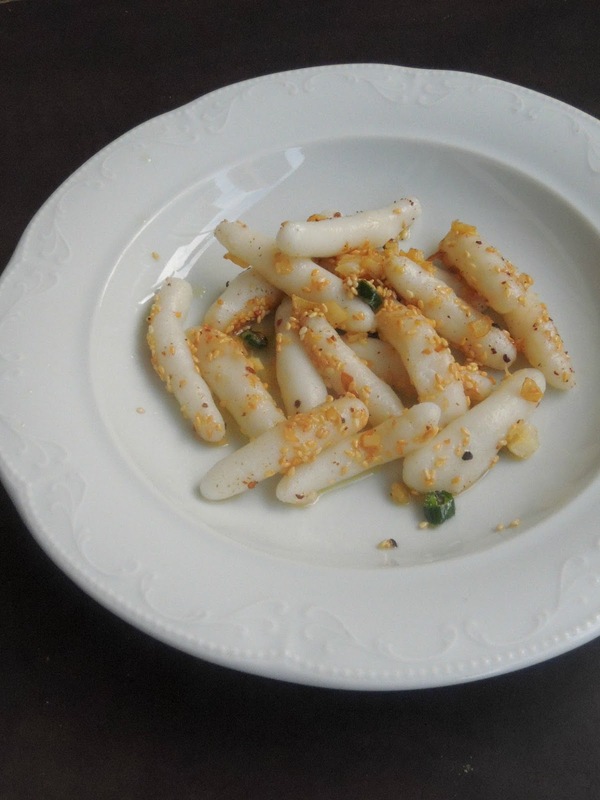 As much as like South Indians mani kozhukattais, this faraa is definitely a must to try if you love mani kozhukattais. Puto is a Steamed rice cake usually served for snacks or as accompaniment for savoury dishes in Philipines. This dish is believed as a derived dish of Indian steamed puttu aka rice cake of Kerala. This cake is served simply with butter or else topped with grated coconut as much as like Kerala puttu. 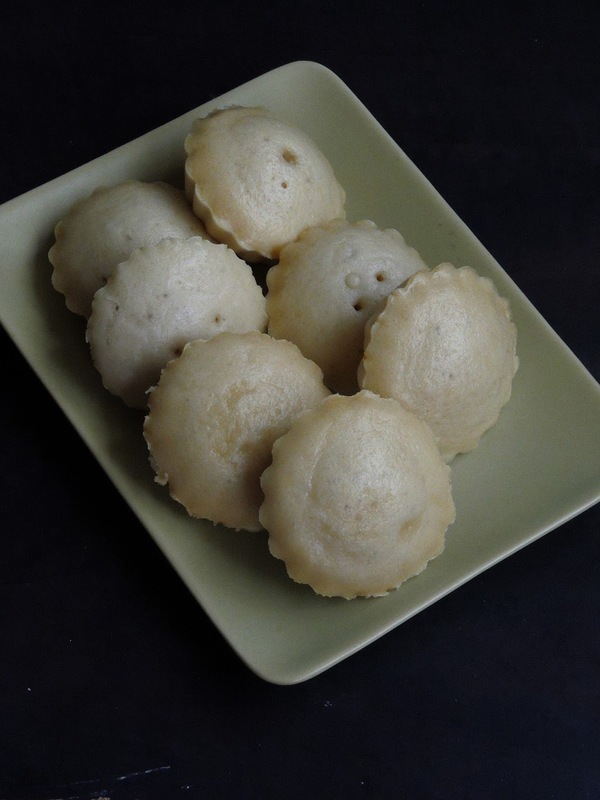 This puto is prepared as small cakes using mini round moulds which is steam cooked in Bamboo steamer, but you can still steam cook this cute looking Filipino cake either by using mini muffin pans or mini tartlets moulds or else simply in our Idli moulds. However i prepared mine by using mini tartlets moulds, though Puto looks super white in colour mine was slightly dull coz of light brown sugar i used for making this Puto. After a super spongy, fluffy light steamed cake, my today's post is an another healthy, fibre rich steamed dumplings aka Kozhukattais. 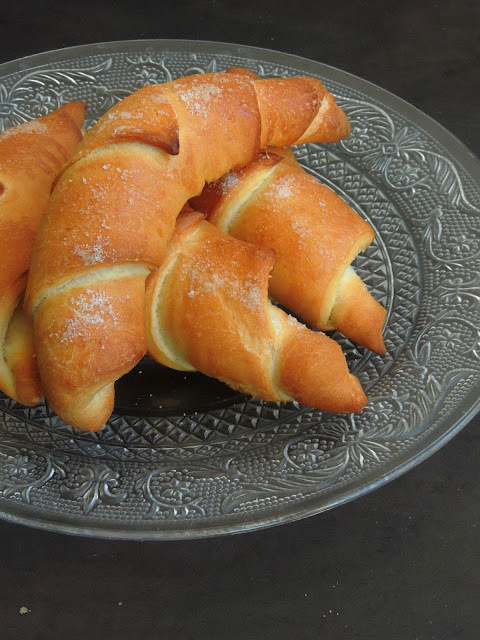 Usually Kozhukattais are prepared with flours or semolina, but for a change, i tried my hands with rolled oats. Rolled oats works awesome for making this easy breezy steamed dumplings quickly than you can imagine. If you dont know what to cook for your breakfast or dinner, just prepare this steamed dumplings and serve them with a simple coconut chutney or sambar to finish your meal happily. 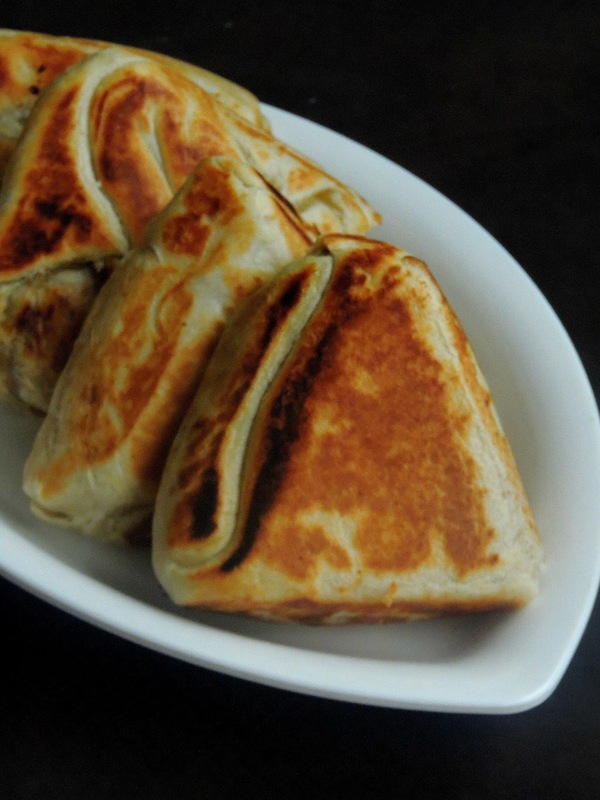 Needless to say that this dumplings suits absolutely prefect for anyone as they gets digest easily. While i was googling for an interesting steamed dish, i accidentally crossed this Mah Lai Goh aka Steamed spongy cake. Actually Mah Lai means Malay and Goh as means Cake, this Cantonese/ Malaysian steamed cake is definitely a dangerous cake, served along with tea or coffee, you just cant stop munching this steamed cake. This steamed cake is very easy to prepare as well, and the end result is a super spongy, fluffy and very light cake. Many blogs says that this Mah Lai Goh have its origin from Chinese Cantonese cuisine, and this cake is served in many Dim sum restaurants.This brown sugar steamed cake is my recent favourite. 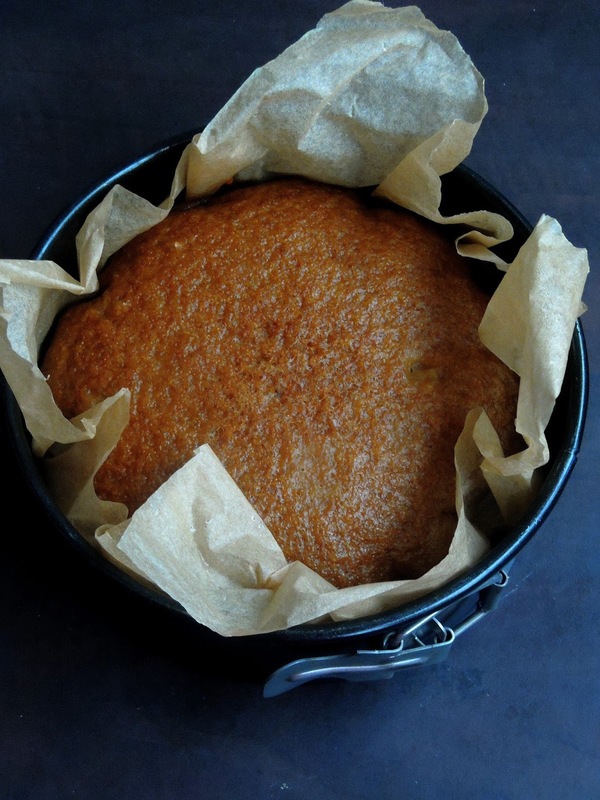 Trust me, i seriously loved this steamed spongy cake as it came out extremely light. Have you ever tried masal vadais with Masoor dal aka red lentils, if not you should give a try. 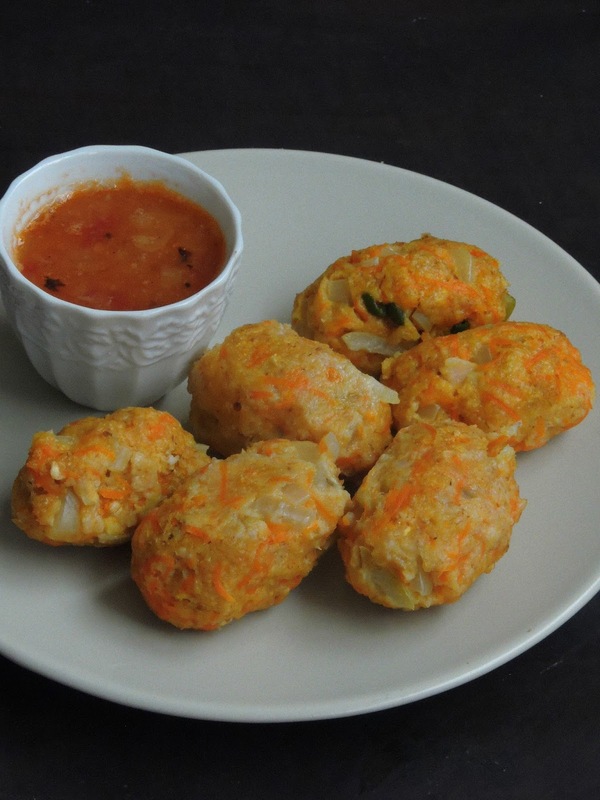 I was very much bored of dishing out some fritters with usual channadal and Urad dal. Last week when i went to Indian grocery, i grabbed a packet of whole masoor dal. Though i bought the packet of whole masoor dal to make dal or pulao with it, i couldnt resist to make some crispy vadais with them. 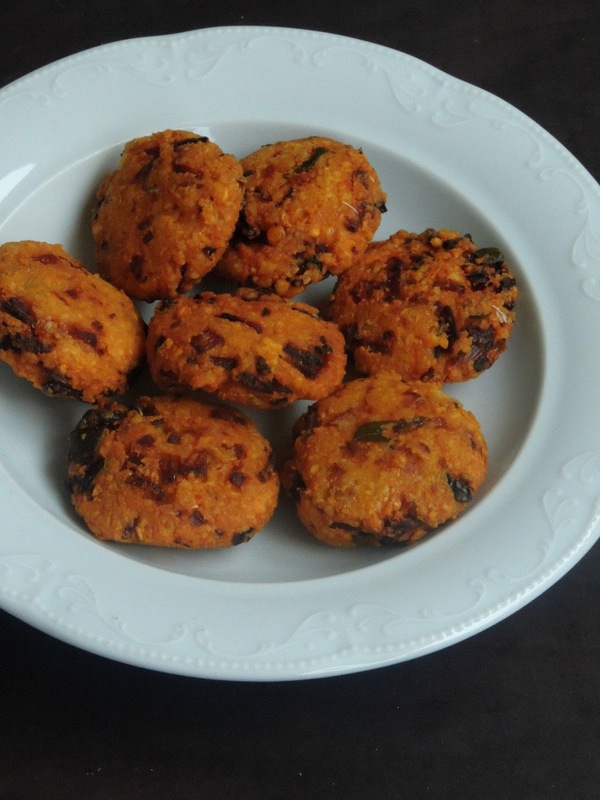 Since i picked Sankranthi Special as theme for this week's blogging marathon, i seriously want to prepare some crispy vadais out of those protein rich dals. Rock Sugar/Rock candy/Sugar Candy is known as Kalkandu in Tamil, this rock sugar is used in South Indian cuisine for making many delightful desserts out of it. My today's recipe is an another Sankranthi special sweet pongal or sweet rice you can prepare easily with sugar candies or rock candies. 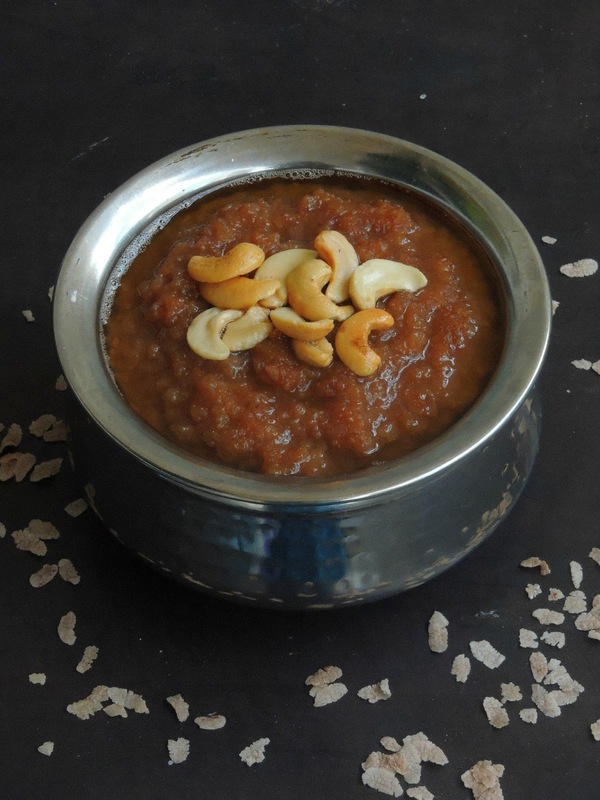 This pongal dish calls for milk, which makes this more creamy. Usually prepared with raw rice and split moongdal, this sweet rice is definitely a must to try if you want to prepare a different sweet pongal on Sankranthi. 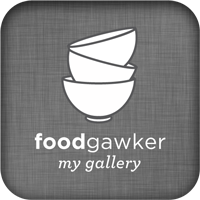 But my recipe calls for just raw rice. Adding split moongdal or skipping the moongdal doesnt change the taste of this dish. Pongal/Sankranthi, the popular harvest festival is around the corner. Obviously after Christmas and new year celebration, Indians get ready to celebrate this famous festival. Been born and brought up in South India, i have many beautiful memories about this festival. If you live in City, you might visit the villages to see how this festival is celebrated there. 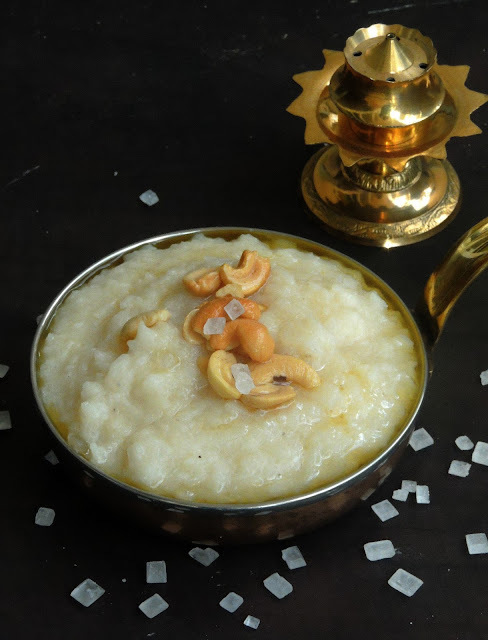 Though many traditional versions of Sweet pongals exists,some easy breezy versions of pongals do exists to prepare on this auspicious day. Even a novice cook, can dish out those easy and delicious pongals on Sankranti with less efforts. My family loves egg curries very much, obviously i look for different versions of egg curries. 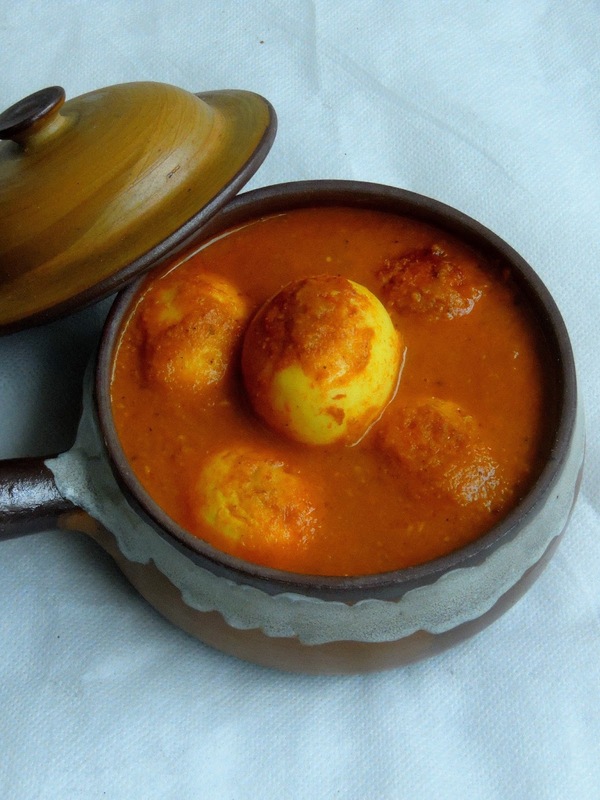 If i get a different egg curry from any source, i dont hesitate a second to dish out those fingerlicking curries with eggs to please my family. My today's recipe is from my friend's mom who makes delicious Srilankan's foods at home. She was a home maker earlier but now she is running a Srilankan fast food in Paris. When i picked Sinhalese Recipes as theme for this week's blogging marathon i couldnt stop myself pestering her to get some interesting dishes from her. While we were talking, she shared her family favourite egg curry. And i prepared my friend's mom special Egg curry at home and trust me everyone at home enjoyed this lipsmacking flavorsome curry with hot piping rice. 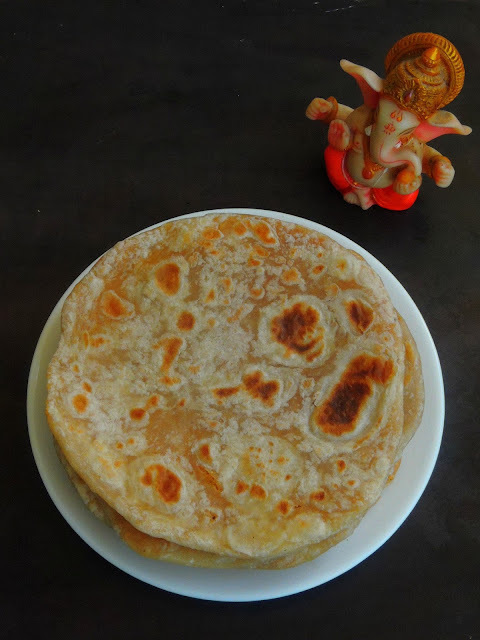 I came to know about this Srilankan vegetable roti aka Elawalu roti few years back when we were invited to one of my friend's place for a get together few years back. 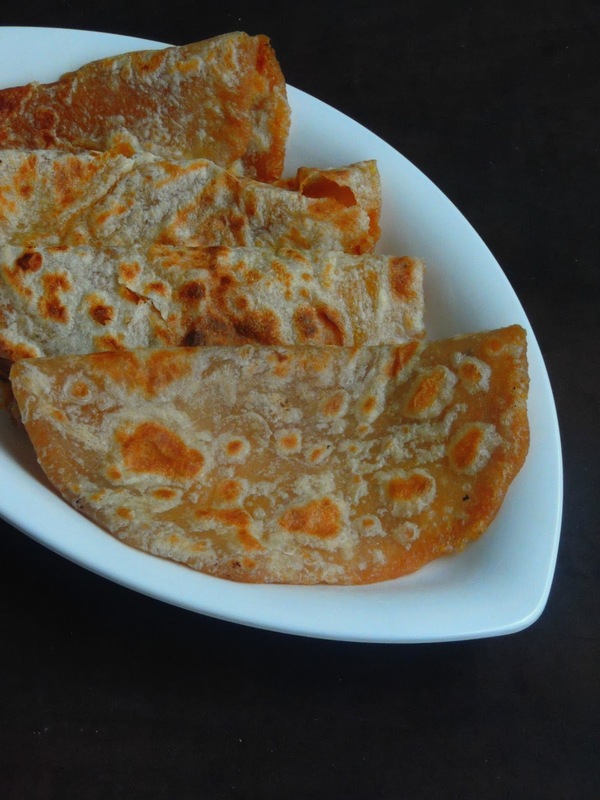 This vegetable roti is served as a starter or for snack with a cup of tea in Srilanka. My friend's mom told that this roti was an imported snacks from South India. Earlier this roti was a restaurant food, but now its one of the most popular and famous snack food in all over Srilanka. You can enjoy this vegetable loaded roti from breakfast, lunch or snacks. 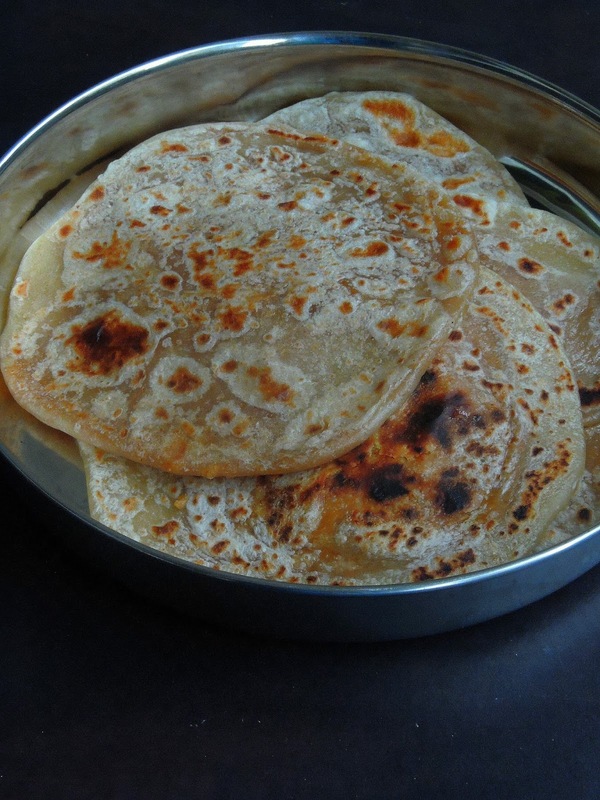 In Srilanka this roti is enjoyed anytime of the day and its considered as one of the best midnight snacks as the rotis are panfried and can be heaten slightly in microwave oven anytime. Srilankan cuisine is a very familiar cuisine for me as i have couple of Srilankan friends here in Paris. 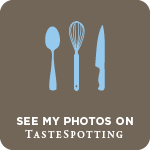 Most of their dishes ressembles as much as like South Indian cooking style. When i picked Sinhalese Recipes as theme for the first week of this new year's blogging marathon, i immediately checked with one of my close buddyfor some unique Sinhalese dishes. She talked much about this Sugar coated buns aka Kimbula Banis. Obviously i checked for the recipe through google and got the recipe o my friend's childhood favourite buns. This buns are easily found all over Srilanka and this buns makes a super filling snack to enjoy with a cup of freshly prepared Ceylon tea.